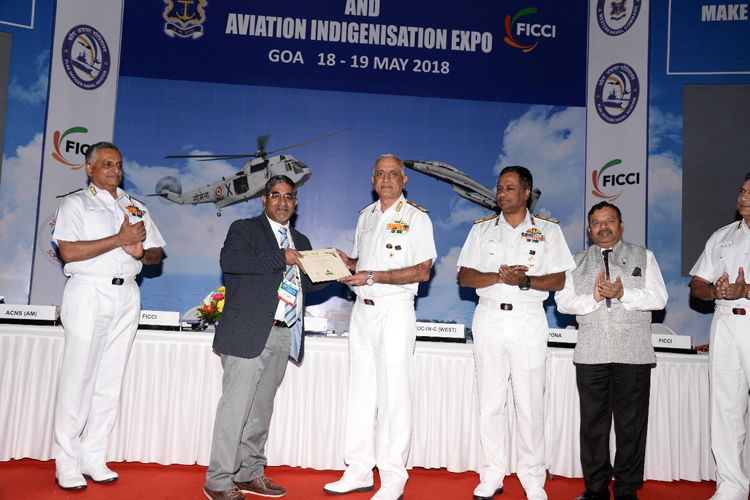 A Naval Aviation Seminar on 'Opportunities and Challenges in Maintenance of Fixed and Rotary Wing Naval Air Assets' was conducted by Goa Naval Area from 18 - 19 May 2018, at Rajhans, Dabolim, Goa. 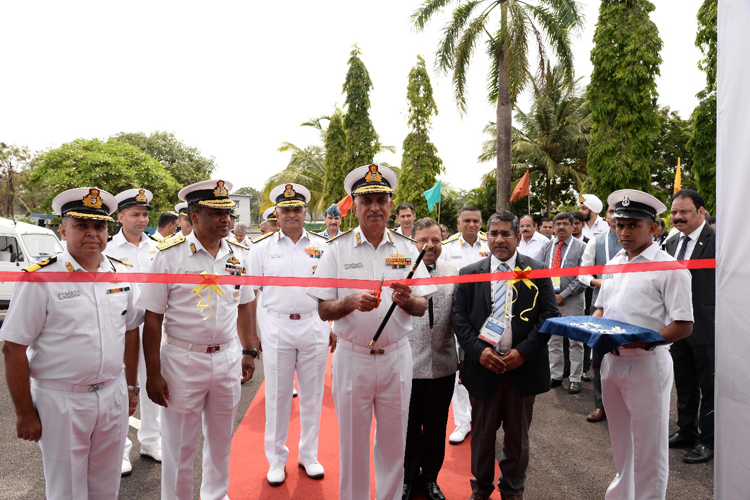 Vice Admiral Girish Luthra, Flag Officer Commanding-in-Chief, Western Naval Command was the Chief Guest at the inaugural session of the seminar. 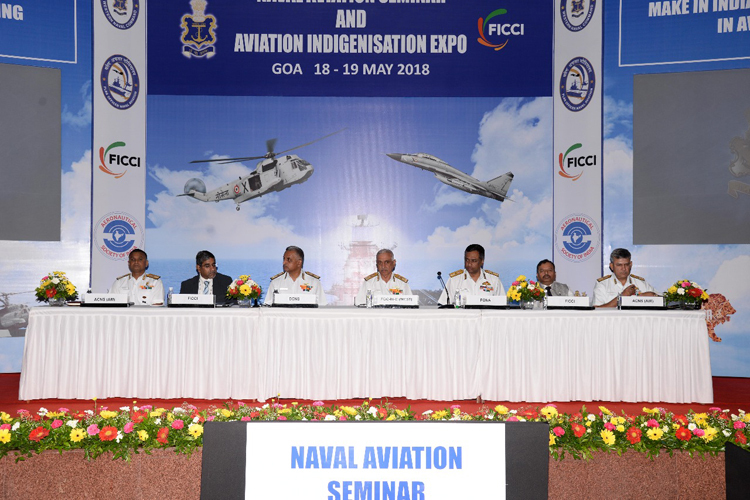 Rear Admiral PG Pynumootil, Flag Officer Commanding Naval Aviation welcomed all attendees for the Seminar, while Vice Admiral G Ashok Kumar, Deputy Chief of the Naval Staff delivered the keynote address. 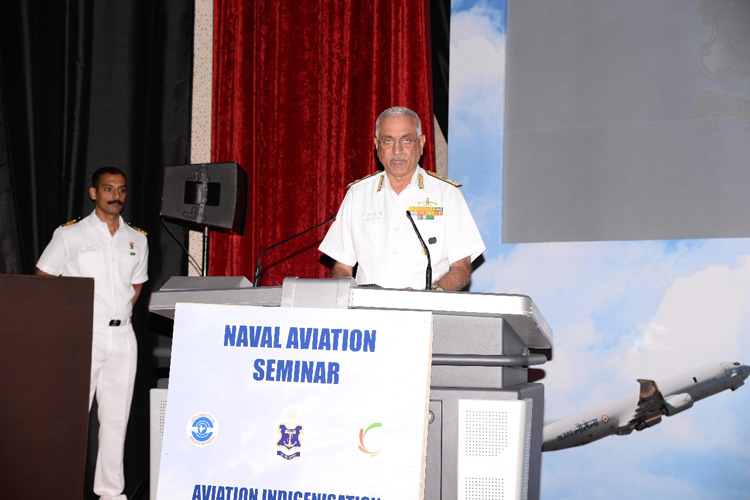 Speaking on the occasion, Vice Admiral Luthra enumerated the challenges faced during the three phases of the lifecycle of aviation assets - induction to full-fledged operations; mid lifecycle management, including MLU (Mid Life Upgrade); and obsolescence management towards the end of service-life of the aircraft. 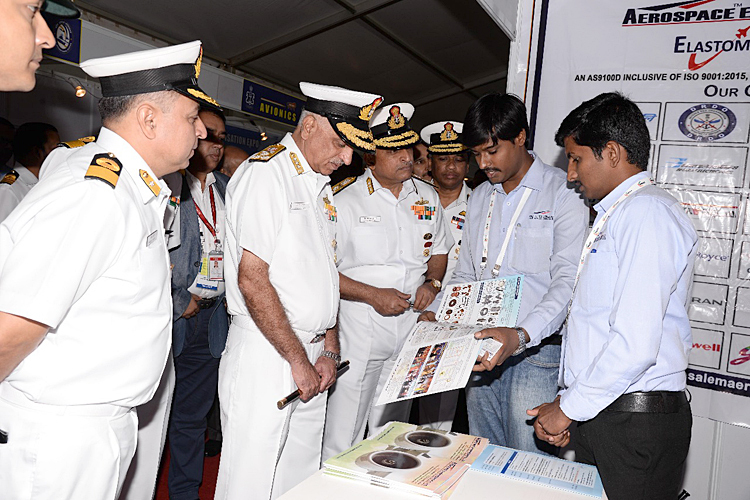 He highlighted the need for enhancing the level of indigenisation in maintenance and repair of aviation assets of the Navy, and urged all stakeholders to pool resources and expertise for the same. 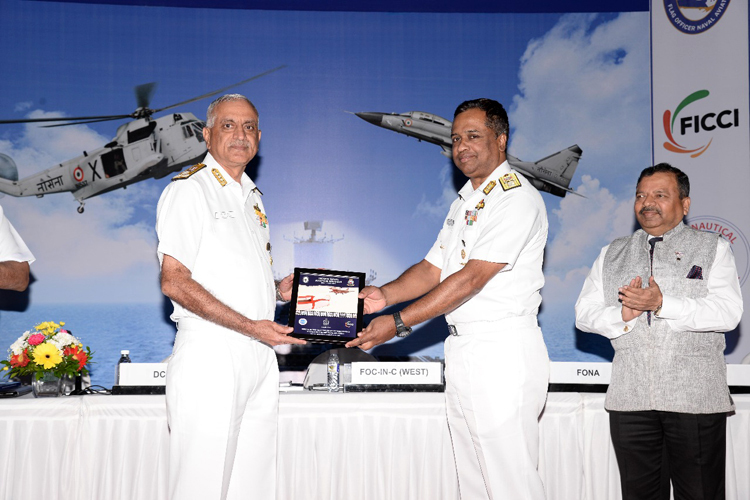 The event also witnessed the release of the 'Seminar Compendium' by the Chief Guest, and the 'Naval Aviation lndigenisation Guide Book' by DCNS. 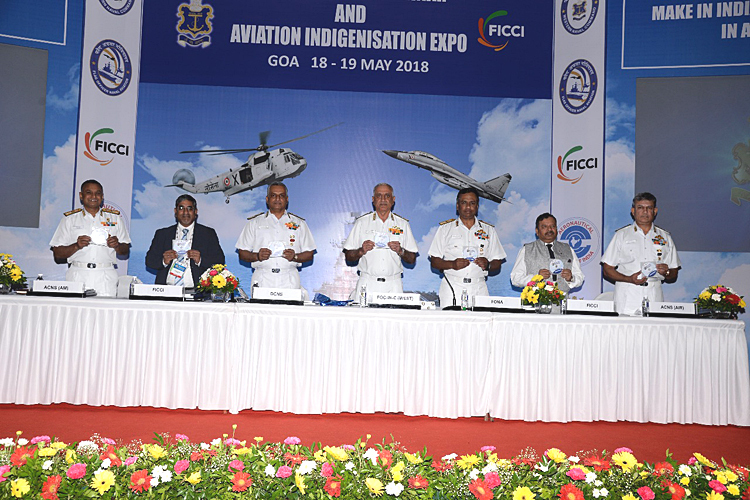 On the sidelines of the Seminar, an 'Aviation lndigenisation Expo' was conducted by the Indian Navy in association with FlCCl and AeSl, was also inaugurated by the Chief Guest. 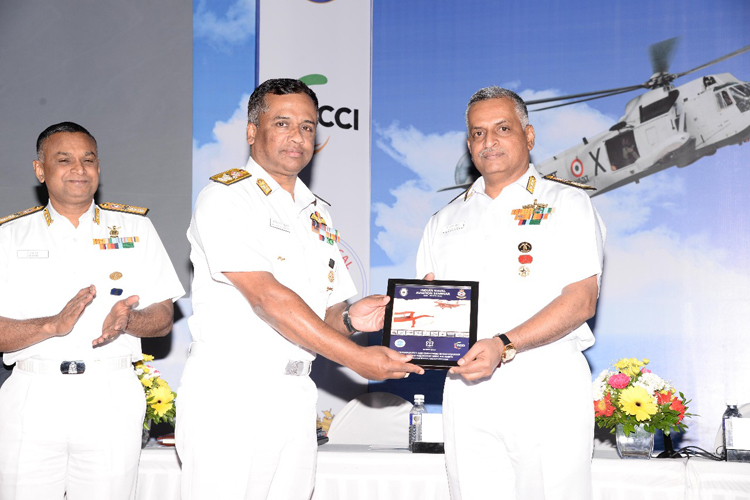 The seminar witnessed presentation of papers by eminent speakers from the Indian Navy, Indian Air Force, DRDO, HAL, FICCI and the aviation industry, such as M/s L&T Defence, Siemens India, Boeing Defence lndia, Leonardo Airborne & Space Systems, United Engine Cooperation (Moscow) and Russian Aircraft Cooperation MiG.